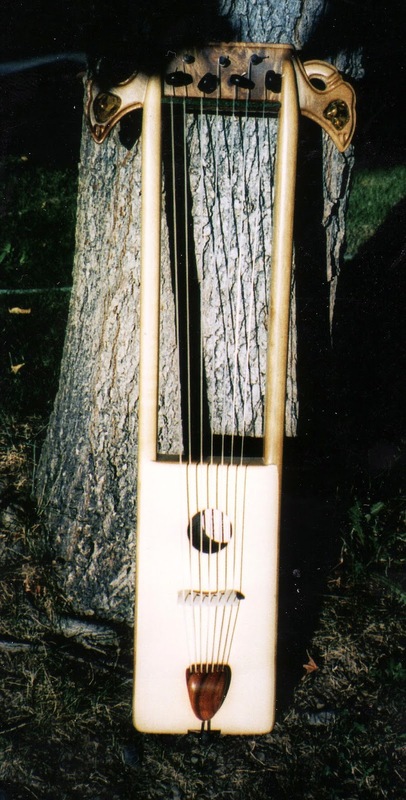 These are photos of a re-created 7 string Viking Lyre I created for a client several years ago, using Oregon Myrtle wood and Engleman Spruce. 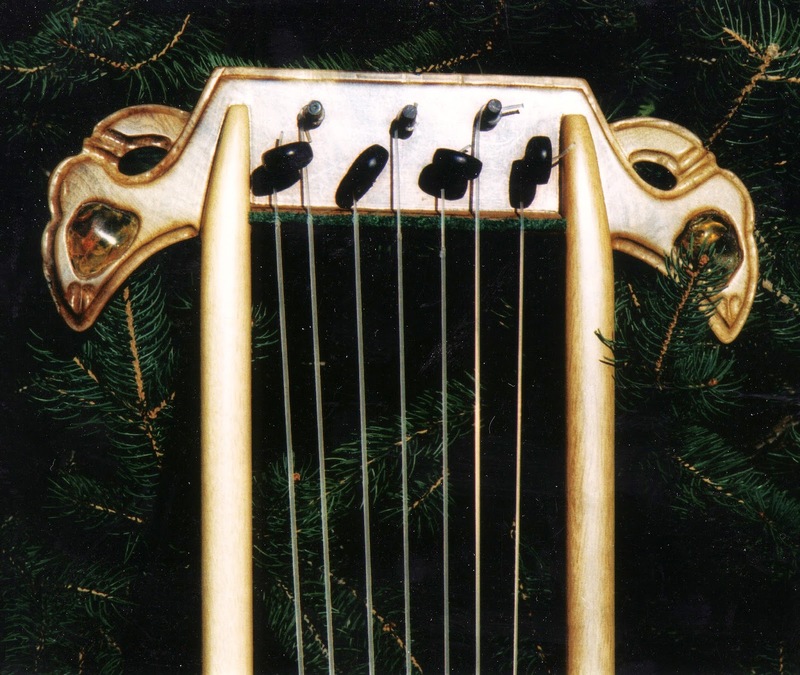 There are inset amber 'eyes', in the stylized dragon heads carved on the top of the Lyre. 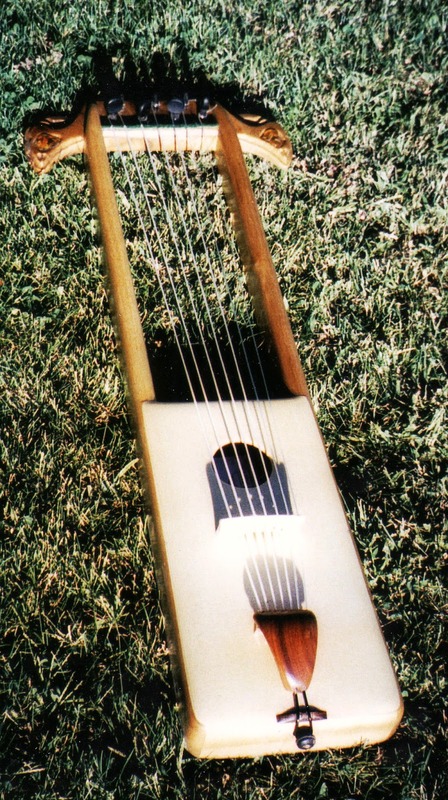 The string tension is quite light, with three different string gauges used.